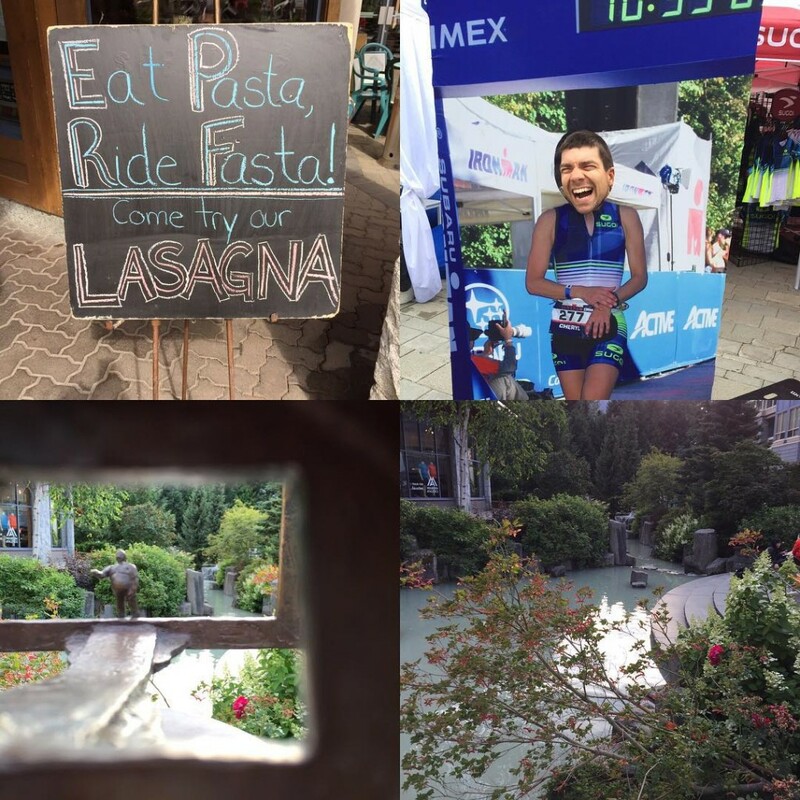 While my race may have ended in disappointment, Whistler did not disappoint. Western Canada is so beautiful, we loved visiting BC! I may be a bit biased since I grew up in Portland, Oregon but I think the rain forest of that area is one of the most beautiful places in the world. BC was especially beautiful because it melded the temperate rain forest with the ocean and the mountains that I have grown to love living in Colorado for the last six years. If you are thinking of racing an Ironman next year I highly suggest IM Canada, especially if you aren’t afraid of a few hills, altitude and unpredictable weather. On the way to Whistler we flew into Seattle and drove up to Canada. 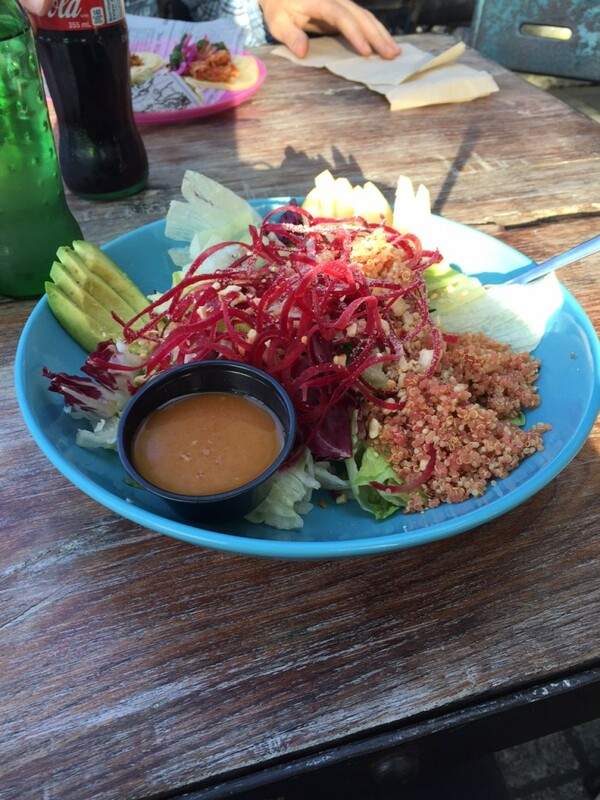 In Seattle we stopped for lunch, since we live in a landlocked state it had to be Seafood! 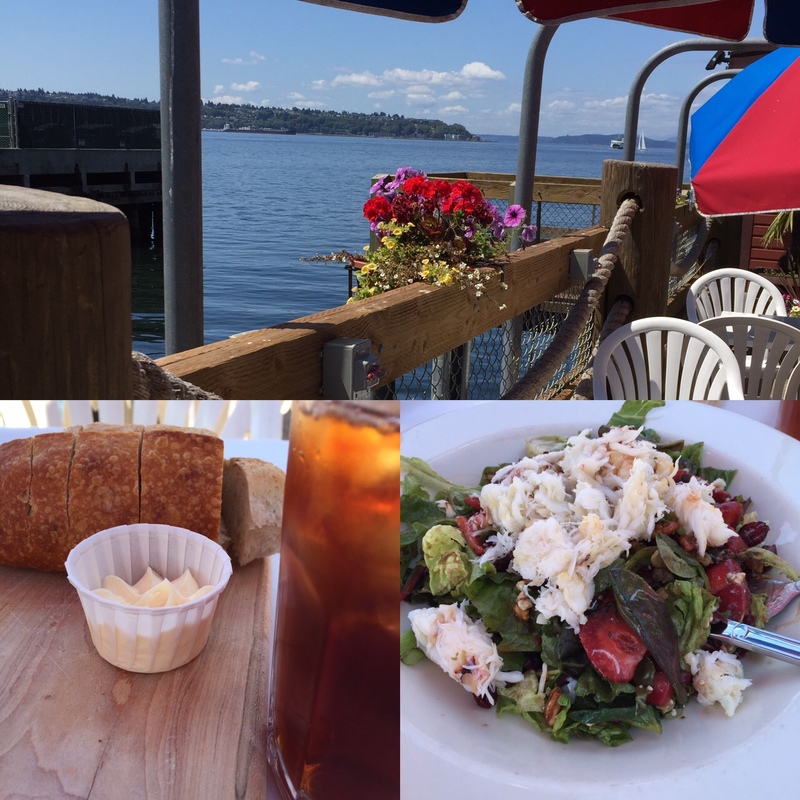 We headed to the waterfront and enjoyed lunch at The Crab Pot. It was great, we didn’t have time to hang around long but have been to Seattle many times. If you go make sure you visit Pike Place Fish Market, it’s a must see in Seattle. Also the space needle and a walk along the waterfront aren’t to be missed. It was great, we didn’t have time to hang around long but have been to Seattle many times. If you go make sure you go to Pikes Place Fish Market, it’s a must go in Seattle. 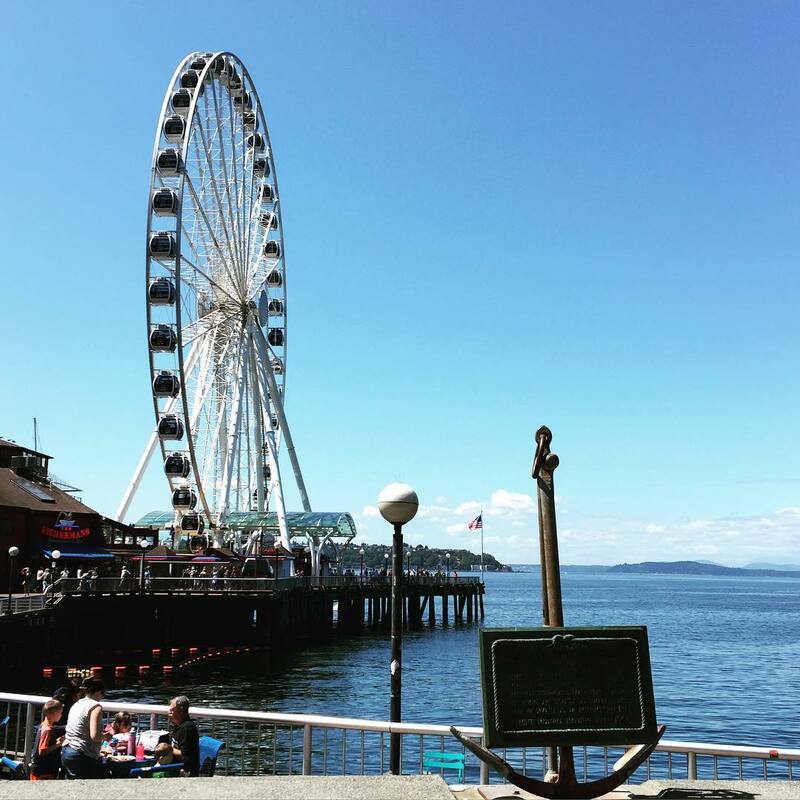 Also the space needle and a walk along the waterfront aren’t to be missed. Then we were on our way across the boarder to Canada and up the Sea to Sky Highway to Whistler. I wish we had much more time to explore Vancouver, guess it will have to be on another trip. 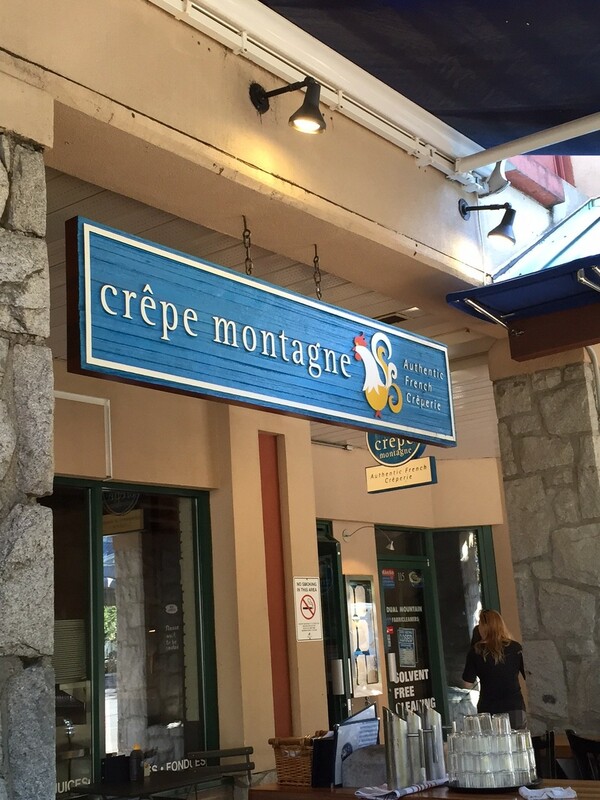 Whistler Village is really cute and easy to navigate. Lot’s of beautiful views and restaurants everywhere. Fun times around Whistler today. We stayed at the Market Place lodge booked through Airb&b It was a great choice for Ironman since it was right on Olympic Plaza where the Athlete Village was. There was also a grocery store, drug store and coffee shop steps from our condo. It was a bit noisy during the day with all the Ironman events as well as a playground directly below us but it quieted down early each night. Caramba! 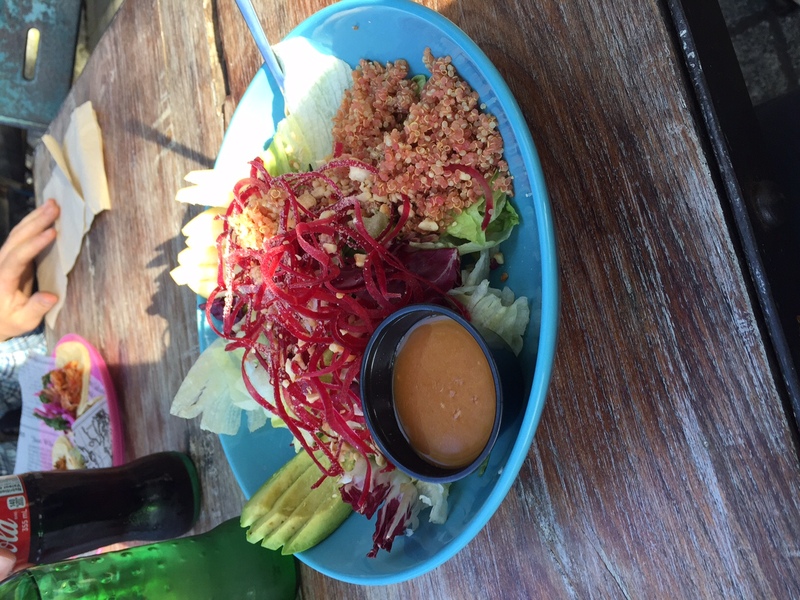 – Mediterranean food made with lots of local organic food. 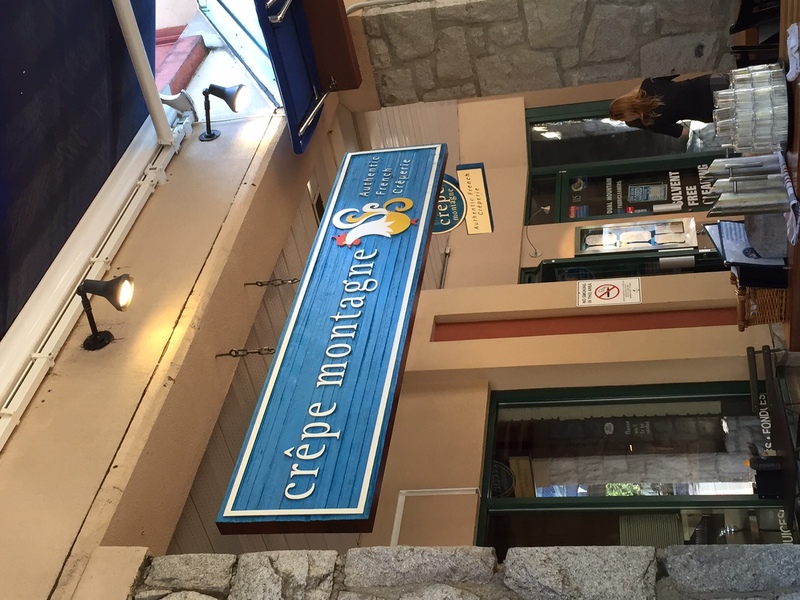 Crepe Montagne – We didn’t eat here until the last day but it is an amazing little breakfast spot. Marketplace IGA – Ok this is just a grocery store, but it’s amazing and they have great sandwiches at the deli if you want to grab something to take with you on a hike. 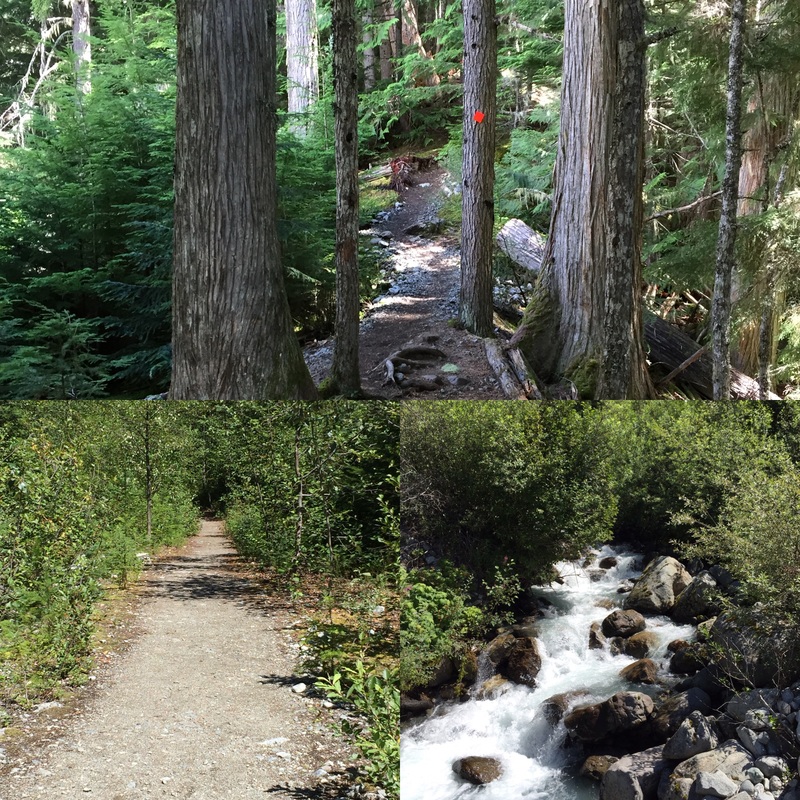 Whistler is full of some amazing sights, and the best way to see them is on foot. 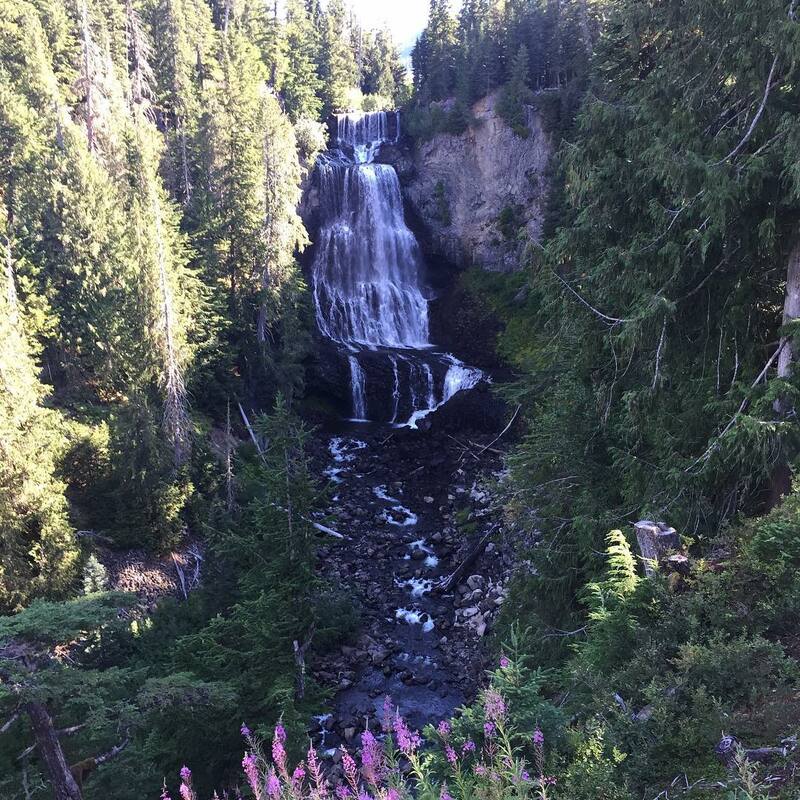 We took a short hike to Wedgemount Falls, it’s a little challenging hiking up the side of a mountain but the views were worth it. 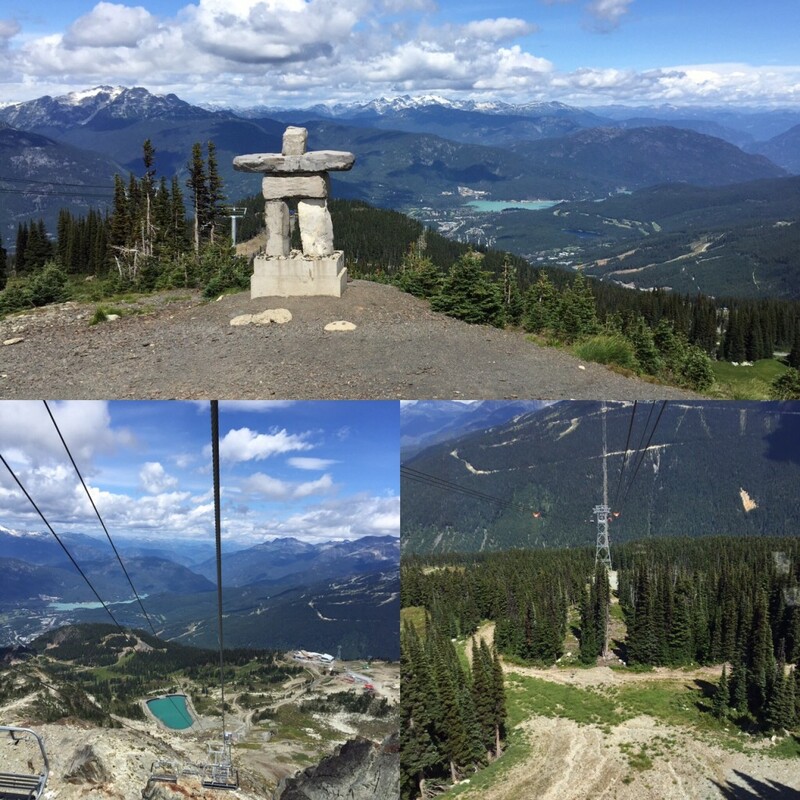 By far my favorite thing that we did was to ride up to Whistler Mountain and ride the Peak 2 Peak Gondola It was amazing to hike around and enjoy the views. Seriously the photos can’t do it justice. I can’t wait to visit Whistler for the first time next year! I will be revisiting your restaurant recommendations when the time comes. 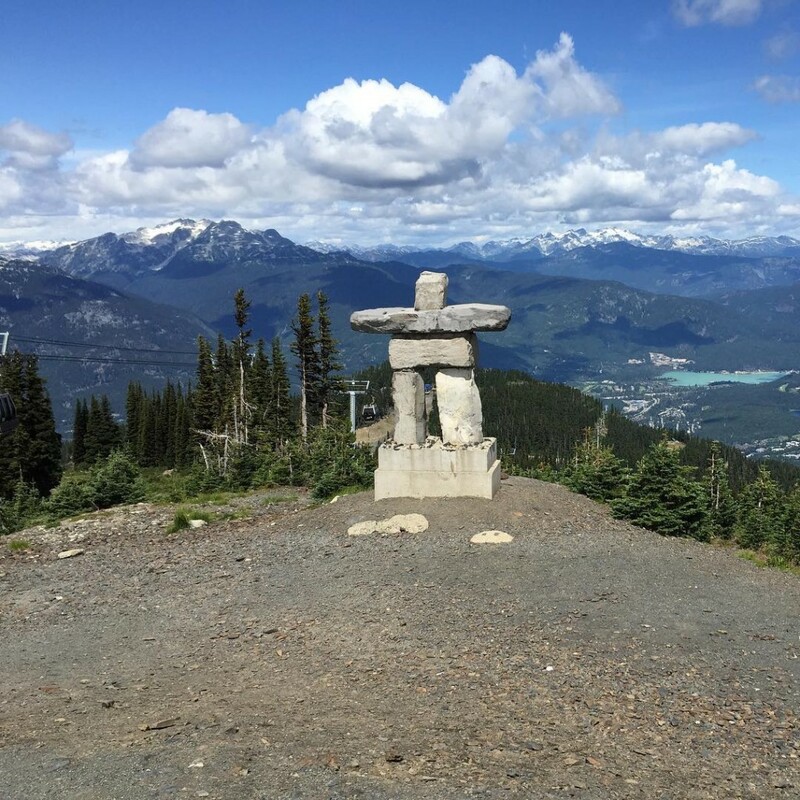 🙂 Do you think you will be considering Whistler again for next year?